Congratulations! Your egg has been fertilized and is now known as a zygote. Your little one will be doing a lot of growing this week, and your body will be getting ready to take on the role of mother. It's still too early to test for pregnancy, but things are changing in your body. As soon as your significant other's sperm meets the egg that's been waiting in your fallopian tube, things start to happen. Immediately, your egg and his sperm combine to make a zygote. The zygote is microscopic and is composed of only one cell, but it is the very first cell of your baby, and it contains the DNA that will determine many of your little one's traits. Within a few hours of conception, the zygote will begin to divide. First, it splits into two cells. Then each of these split, resulting in four cells. This process continues, and by the end of the week, your baby consists of hundreds of cells and will be called a blastocyst. 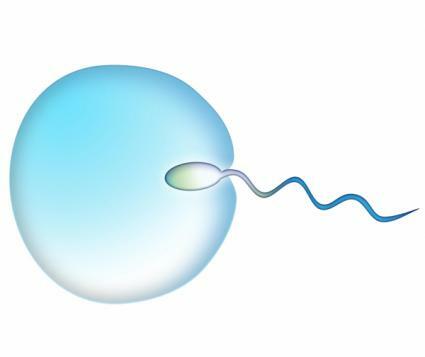 The blastocyst is shaped like a microscopic raspberry. According to the Mayo Clinic, the outer cells of this raspberry will form into your baby's amniotic sac, and the inner cells will eventually become your child. 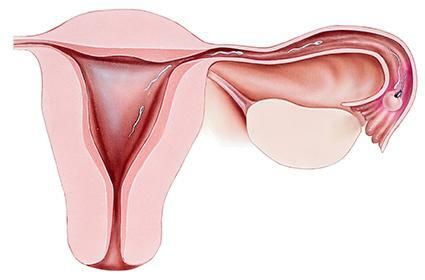 As it is dividing, the blastocyst is traveling down your fallopian tube to your uterus, where it will spend the next nine months. In many ways, your body will continue as if nothing has happened. However, the lining of your uterus will be getting thicker in preparation for housing your baby and providing nourishment. You'll also produce more estrogen and progesterone, the hormones that will guide your body through the journey it's about to take. Some women claim that they know they are pregnant as soon as they conceive, even though they may not have physical symptoms of pregnancy. There's no research to support this idea, but you may notice yourself feeling different in ways that are difficult to explain. If you're trying to get pregnant, Week 3 can be a frustrating time. 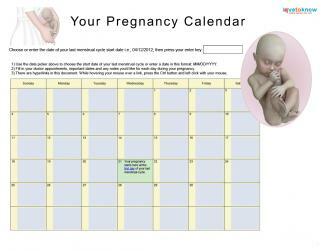 It's still too early to take a pregnancy test, since you baby has not yet implanted in your uterus. If possible, try to do some fun activities that will keep your mind off the suspense you're feeling now. It's also a good idea to buy a pregnancy test, if you haven't already purchased one. Some early tests allow you to check for pregnancy four or more days before your missed period, so you'll be using that test next week. Even though you can't tell for sure yet, your body is busy creating a baby. Remember, taking care of your health is a higher priority now than it ever has been. Get plenty of rest, and eat a healthy diet too. If you have concerns for any reason, especially if you notice bleeding or have pain in your abdomen, contact your doctor right away. These could be signs of a serious condition that requires medical attention, such as an ectopic pregnancy. If you've been charting your basal body temperature (BBT) for the last couple of weeks, keep charting. At the beginning of next week, the blastocyst will be implanting in your uterus, and a dip in your BBT could indicate that the big event has happened. The more information you have going forward, the better!